Pedion: Painted City Canal and Harbour System Available! 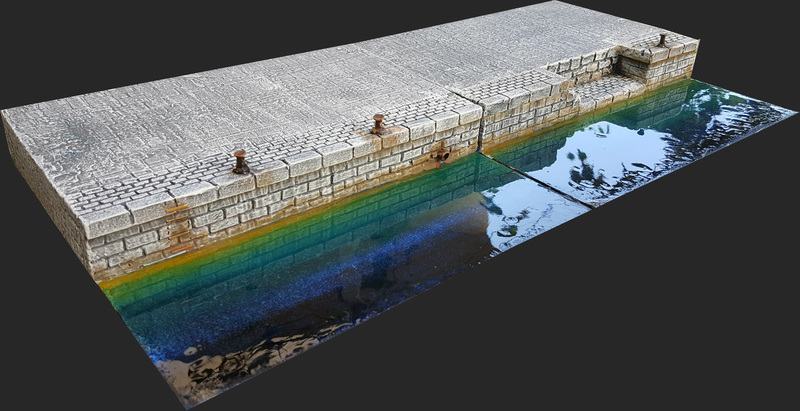 Painted City Canal and Harbour System Available! Enjoy the possibilities of an awesome Urban board! 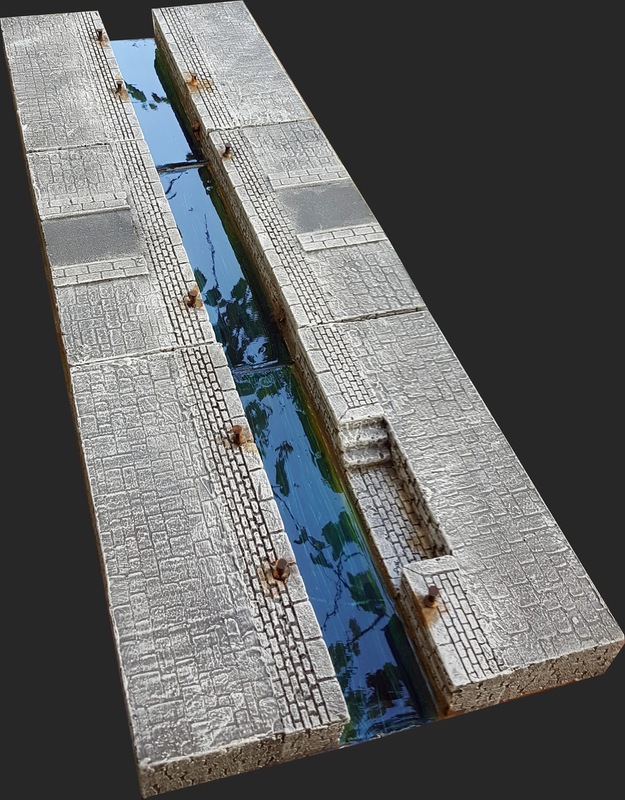 After long preparations, we are proud to present the final version of the Pedion City Canals, as well as the Harbours, which complement our extensive Urban tile battlefields! Read more on how you can get yours. The Urban Kickstarter Pledge Manager is Live - and you can Late-Pledge! The "Pledge Manager" is the tool for our Urban Kickstarter Backers to finalise their pledges, select their Urban battlefields Rewards and arrange their shipping details so they can get them on May 2018. But, on the same time, is a chance for people who were late, to jump on the Kickstarter train and pre-order Urban Battlefields with the same benefits and pricing (what we call "late-pledge"). The Pledge Manager works as an integral part of our Pedion eshop, and you can check the Urban options there! What's new in the Eshop then? A full 3'x3' Urban setup with "Medieval" Harbours, Canals, roads and bridges! 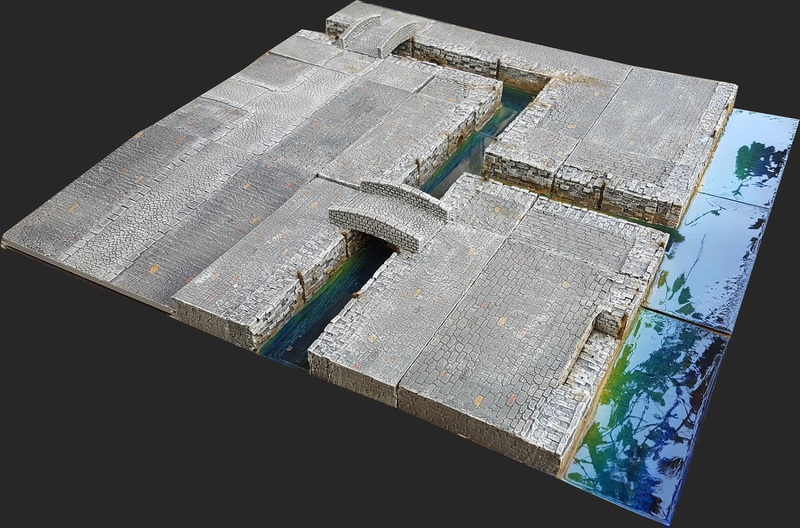 During the Urban KS Campaign we had shown only the "Medieval" version of the Harbour quays, and have shown schematics of the Canal tiles. In the Pledge Manager City Canals and City Harbours are separate entries with almost all available separate designs and themes shown in the galleries so you can better understand the way they look. I must stress that these are not simple prototypes but actual products with parts cast in resin from the moulds we have already made. 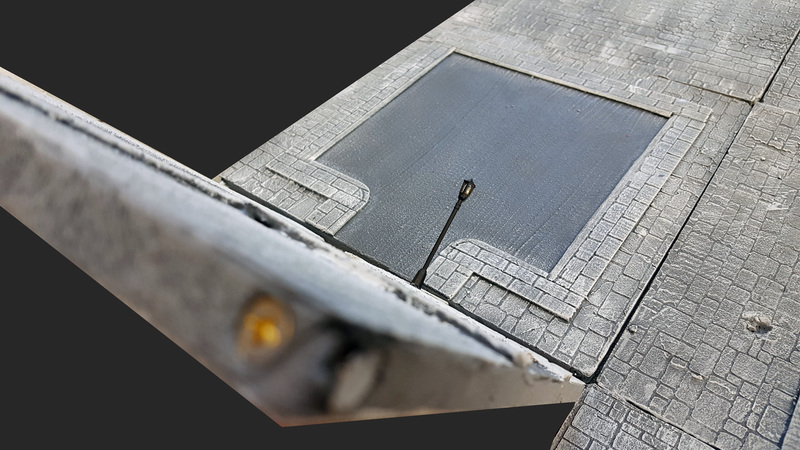 We expanded the "Transition" tile designs with another featuring a straight road, which was requested by many: the "Transition Straight Road- Along". It allows to fully go over from one Pedion theme to another, be it Urban or Outdoors, or a combination of them. The same can be done (without the road) with the "Open Ground Transition"
That's something completely new, not presented during the KS: we can engrave and paint a customised design on a "Open Space" tile.The idea is that by ordering an Open Space tile with Custom design, we can engrave a special mosaic to adorn your battlefields. 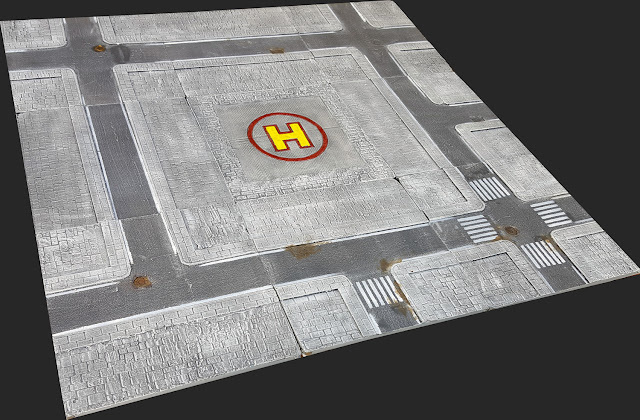 It can be a motif which will make the urban set look the role for specific game universes or scenarios. And, you can always remove it and use a standard open space tile in its place when you play a different game or world (something not possible with other urban boards which have fixed designs). The custom design will be engraved and detailed on the tile, and then hand painted to stand out. It can act as a building floor, a mosaic, a Scenario Objective area, or just an adornment. 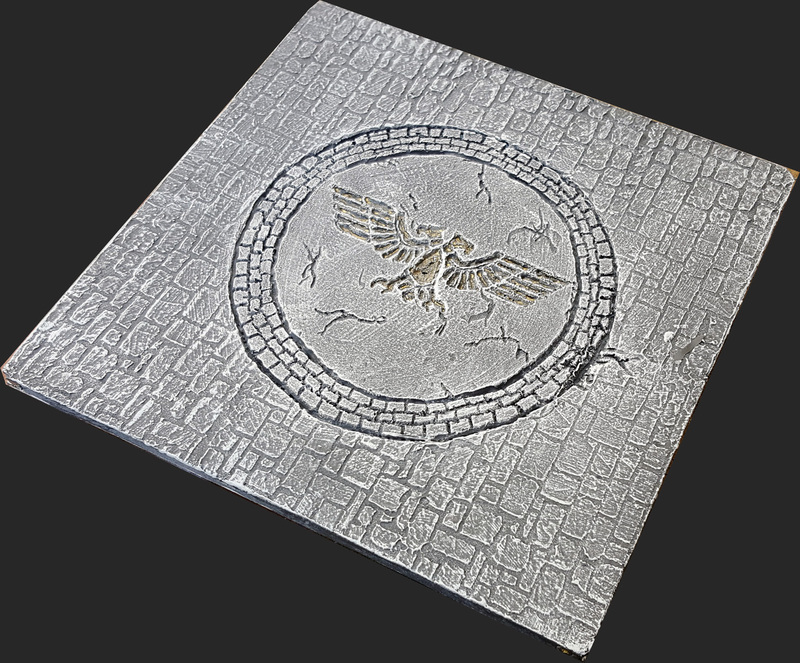 We have prepared three (3) different designs we can engrave in your tiles, but you can always ask for something else. You can see in the gallery and ordering options how we can implement an "Arcane Pentagram" (for your Fantasy Games), a Helipad/dropship pad (for modern and scifi scenarios) and even an Imperial Eagle (for scifi Cathedrals). You can order one of these 3 designs or you can send us your own. 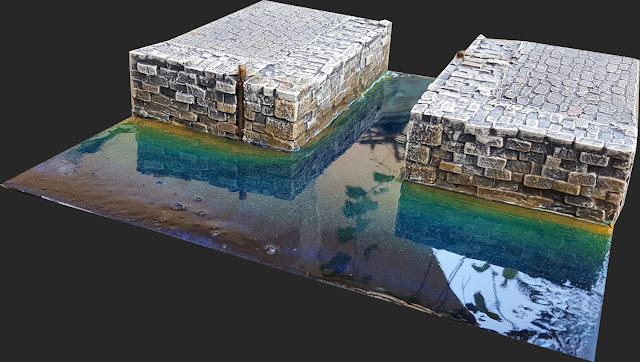 Need a floor for that ruined Imperial 40K Cathedral? Replacing a Set's "open space" tile with a "custom" one opens up all kind of scenario possibilities! If you want us to implement a custom design of your own making, you can get an idea from the 3 we already have whether it is feasible or not. The design must be drawn in some detail (no oral descriptions qualify) and must fit an area of maximum 20cm in diameter. 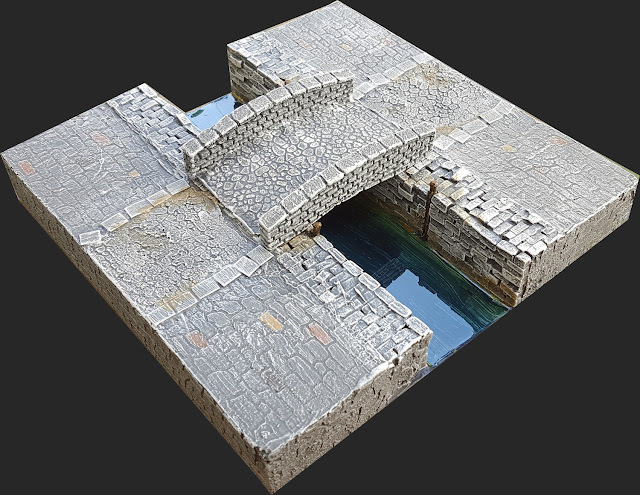 Another thing we had talked about in the KS but had not shown: a series of accessories and scenics which could make use of "Magnetised" tiles. The idea is that they stand upright realistically, without using any bases, and they do not fall even if you flip the tile. 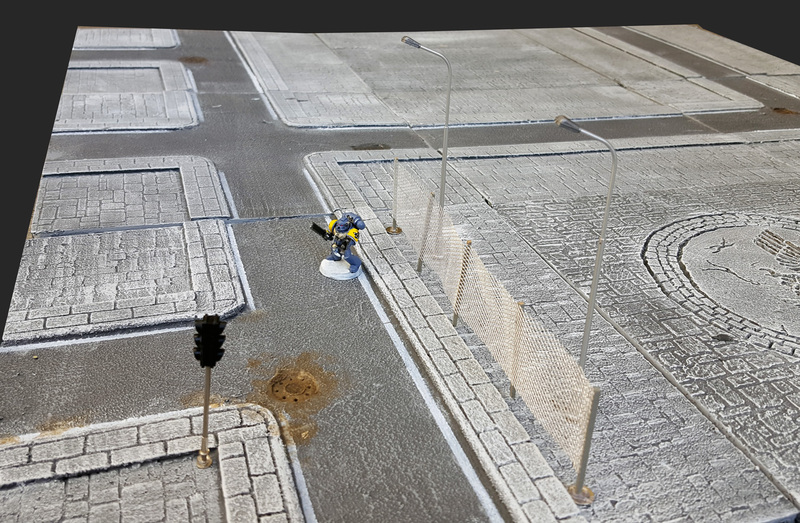 In the "Urban Accessories (Magnetic Base option)" PM sub-section, you will find many of these, including our new walls, fences, urban trees, flower beds, city sculpts, traffic lights and street lamps. 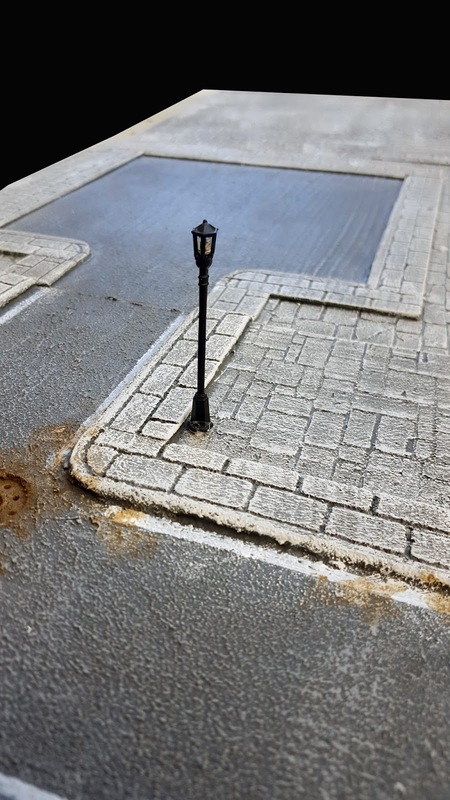 Street lamps, traffic lights and Wirefence combined on a Magnetised tile. They need no bases and they don't fall over. 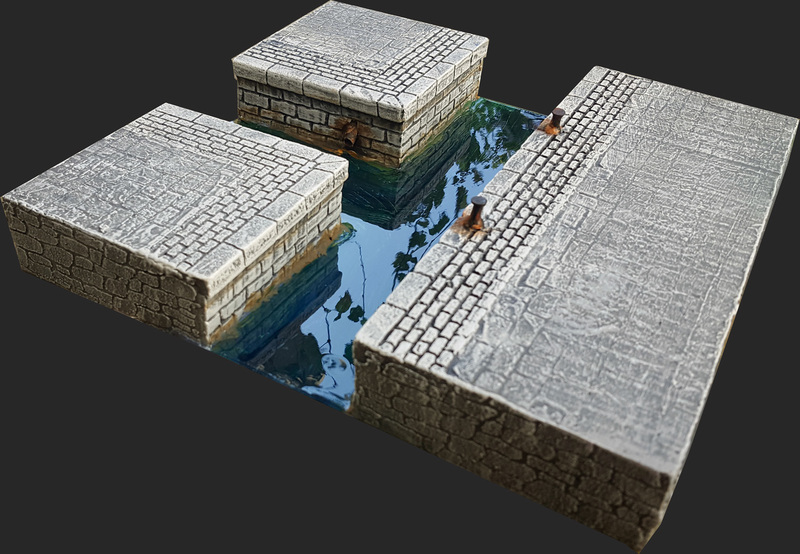 Last but not least: in case you were considering getting one of the outdoor sets from our first Kickstarter, here is your chance. 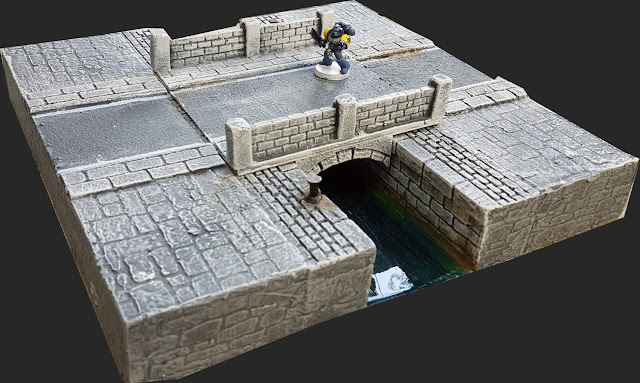 While the Urban KS Pledge Manager is active, all the "Outdoors" Base Battlefield Sets (from 2'x3' to 6'x4') are at 10% OFF! 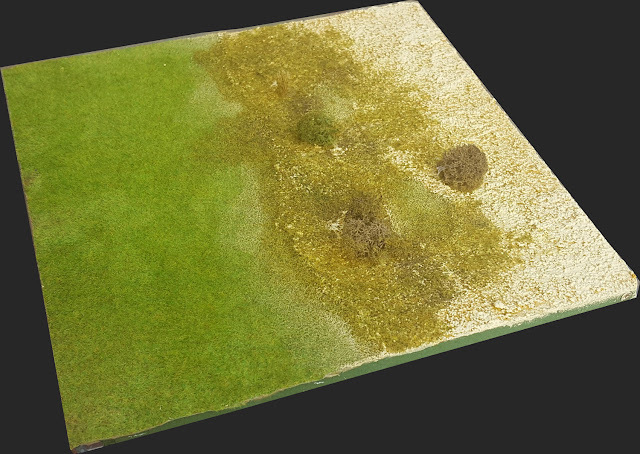 Even single extra tiles like crops, craters, coastlines etc are at 5% OFF. We will combine shipping with your urban pledge, although each outdoors set will add a bit to the delivery time (check their descriptions). I am quite proud of how the Urban line is growing and how great it looks! Just give us the chance to create the urban board you always wanted.